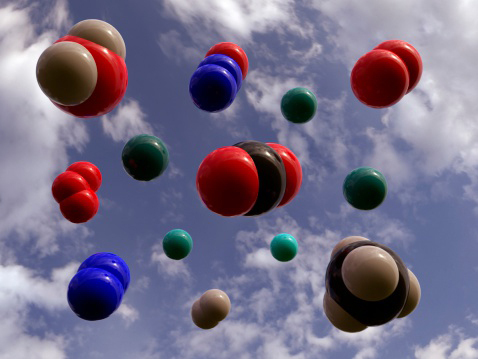 The TEMPO (Tropospheric Emissions: Monitoring Pollution) mission aims to answer this question with more detail and precision than ever before, by creating a revolutionary new dataset of atmospheric chemistry measurements from space. TEMPO will be the first space-based instrument to monitor major air pollutants across the North American continent every daylight hour at high spatial resolution. The instrument, an ultraviolet and visible spectrometer to be completed in 2017, will hitch a ride in 2019 or later on a commercial satellite to a geostationary orbit (GEO) about 22,000 miles above Earth's equator. This vantage point will enable TEMPO to monitor daily variations in ozone, nitrogen dioxide, and other key elements of air pollution from the Atlantic to the Pacific, and from Mexico City and the Yucatan Peninsula to the Canadian oil sands. The instrument will resolve pollution levels to regions of several square miles—far better than existing limits of about 100 square miles. TEMPO is the first funded project of NASA's Earth Venture Instrument program, which includes small, targeted science investigations designed to complement NASA's larger research missions. It is part of the agency's Earth System Science Pathfinder program. TEMPO'’s new stream of data will enable researchers to improve pollution emission inventories, monitor population exposure, and evaluate effective emission-control strategies. It will also provide near-real-time air quality products that will be made publicly available, and will help improve air quality forecasting. TEMPO is being launched during a timeframe when two other pollution-monitoring satellites from Europe (Sentinel 4) and Asia (GEMS) will also be in operation. 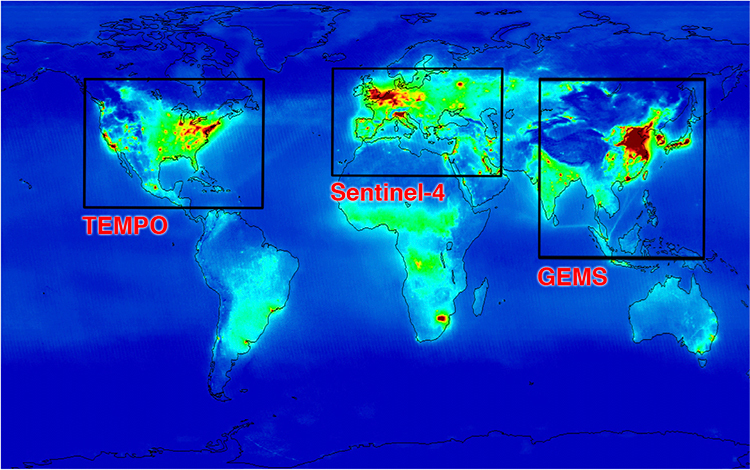 The three instruments together will form a global GEO constellation for air quality monitoring later this decade and next, including a major focus on intercontinental pollution transport across the Atlantic and Pacific oceans.